(New York, NY and Los Angeles, CA, March 27, 2019) - Up2Us Sports, the nationwide leader in engaging, training and supporting sports coaches to transform youth, programs and communities, today announced a three-year Regional Partnership with the Los Angeles Dodgers Foundation (LADF) to identify, place and train Up2Us Sports coaches in youth sports programs to deepen the impact of sports-based youth development in the local market. 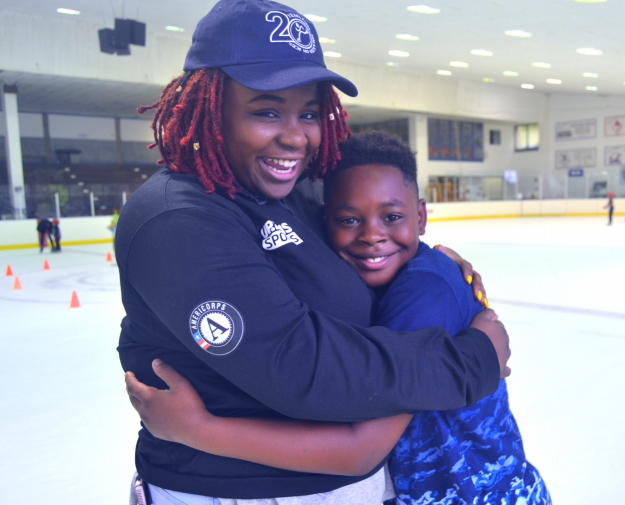 Throughout the three-year partnership, LADF’s investment of $1 million will help Up2Us Sports recruit, train and place over 250 coaches in underserved communities across Los Angeles by giving young men and women from the local community the opportunity to serve as mentors and coaches to 20,000 youth. LADF’s Dodgers RBI program (Reviving Baseball in Inner Cities), dedicated to increasing participation in the sport and using sports as an engagement tool to increase education, literacy, health, wellness and recreational resources, will be bolstered by 90 of the new Up2Us Sports coaches, while additional coaches will be placed throughout city parks, related nonprofits and schools across Los Angeles. This year LADF has assigned 15 coaches as Dodgers RBI Field Champions designed to help build capacity for its partners at 85 locations serving 10,500 kids this year. Field Champions will ensure increased communication between LADF and its program partners and increased youth participation in all aspects of the Dodgers RBI program. The coaches will be equipped with more than 30 hours of cutting-edge youth development, mentoring and trauma-informed strategies to better prepare them to serve as Up2Us Sports coaches and be positive influences to youth.